29 new entries added to perfume slogans, that include pictures. 1. 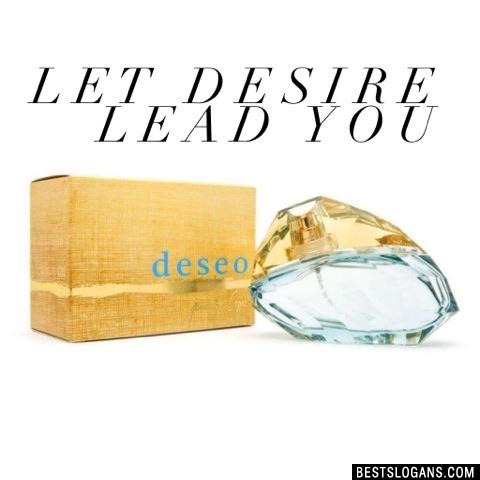 Tresor...The fragrance for treasured moments. Your hair not your skin, might actually be the best place to spray perfume. Because of your scalp's oiliness, it will actually keep scent longer than your skin will. Your nose gets used to your signature fragrance, and you can only smell it when it's first applied or when you consciously pay attention to it. Musk is actually potent, reddish-brown substance secreted by male musk deer? Since it requires killing an endangered animal, it's rarely used for perfume today. Jean Carles, a famed French perfumer who created scents such as Miss Dior, was said to have insured his nose for one million dollars. The most expensive perfume in the world is Clive Christian's Imperial Majesty, priced at $215,000 for 16.9 ounces. It's served in a Baccarat crystal bottle with an 18-carat gold collar and five-carat diamond. 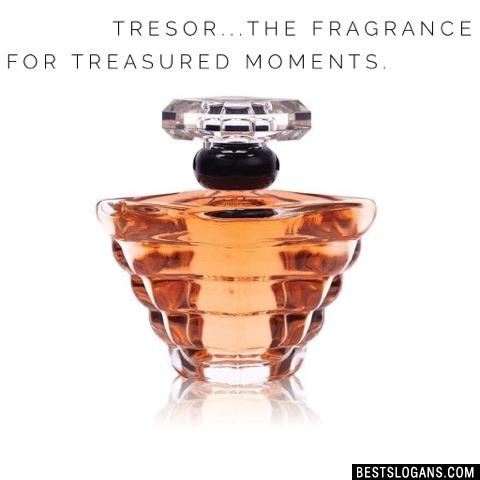 Tresor...The fragrance for treasured moments. 2 Lust in a bottle. 3 Sometimes its all you need. The most beautiful scent of all. 5 The Power of Cool. 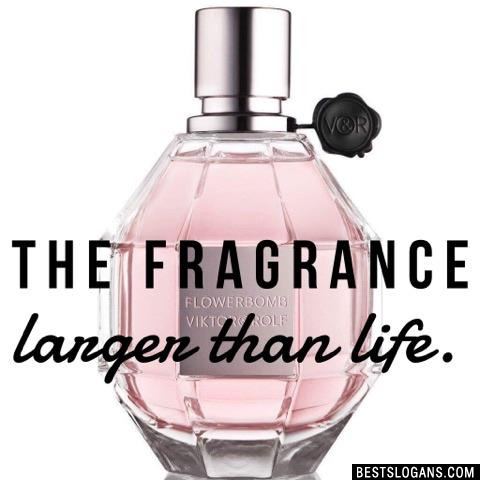 The fragrance larger than life. 8 Between love and madness lies Obsession. 9 So delicate. So Beautiful. A woman is an island. 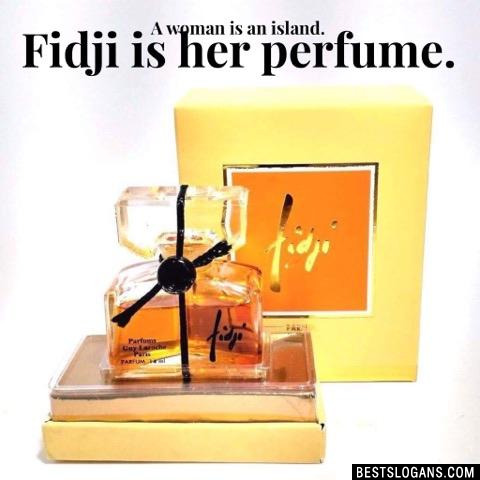 Fidji is her perfume. "Women waste so much time wearing no perfume. 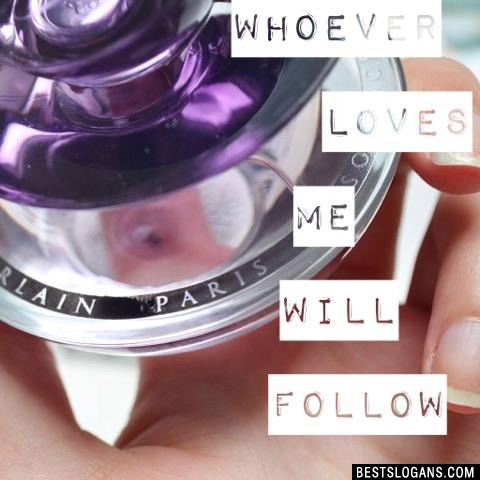 As for me, in every step that I have taken in life, I have been accompanied by an exquisite perfume!" -C. JoyBell C.
11 Beautiful You, Today Tomorrow. 14 The ultimate code of seduction for men. 18 Life without passion is unforgivable. 19 Every woman has two sides. Can you think of a good Perfume Slogans we're missing? Or come up with a clever one of your own. Please share below.